Kuwait is located in the northwest corner of the Arabian Gulf between 28°30' and 30° north latitude, and 46°30' to 48°30' east longitude. It is approximately 10,700 square miles (17,818 km2); the extreme north-south distance is 120 miles (200 km), the east-west distance is 100 miles (170 km). To the south it shares a border with Saudi Arabia; to the west and north, it shares a border with Iraq. The semiarid climate of Kuwait is characterized by two seasons: a long, hot, humid summer, and a relatively cold, short winter. Summer temperatures range from 84.2 to 113°F (29-45°C), with relatively high humidity. The prevailing shamal winds from the northwest bring severe dust and sand storms from June to early August, with gusts up to 60 miles per hour (100 km/ hr). Winter temperatures range from 46.4 to 64.4°F (8-18°C). Occasionally samum winds (meaning poison wind, describing the extremely hot and dry winds from the Sahara that can reach 130°F [55°C] bring more heat to people's bodies than can be removed by transpiration, and they lead to many cases of heatstroke. These winds come from the southwest during November. Annual precipitation averages 4.5 inches (11.4 mm) and rapidly infiltrates the sandy soil, leaving no surface water except in a few depressions. Most of the limited rainfall occurs in sudden squalls during the winter season. Most of Kuwait is a flat, sandy desert. There is a gradual decrease in elevation from an extreme of 980 feet (300 m) in the southwest near Shigaya to sea level. The southeast is generally lower than the northwest. There are no mountains or rivers. The country can be divided into roughly two parts, including a hard, flat stone desert in the north with shallow depressions and low hills running northeast to southwest. The principal hills in the north are Jal al-Zor (475 feet or 145 m) and the Liyah ridge. Jal al-Zor runs parallel to the northern coast of Kuwait Bay for a distance of 35 miles (60 km). The southern region is a treeless plain covered by sand. The Ahmadi Hills (400 feet or 125 m) are the sole exception to the flat terrain. Along the western border with Iraq lies Wadi Al-Batin, one of the few valleys in Kuwait. The only other valley of note is Ash Shaqq, a portion of which lies within the southern reaches of the country. Small playas, or enclosed basins, are covered intermittently with water. During the rainy season they may be covered with dense vegetation; during the dry season they are often devoid of all vegetation. Most playas range between 650 and 985 feet (200-300 m) in length, with depths from 16 to 50 feet (5-15 m). There are few sand dunes in Kuwait, occurring mainly near Umm Al-Neqqa and Al-Huwaimiliyah. The dunes at umm Al-Neqqa are crescent-shaped barchan dunes with an average width of 550 feet (170 m) and average height of 25 feet (8 m). Those near Al-Huwaimiliyah are smaller, averaging 65 feet (20 m) wide and 7 feet (2 m) height, and are clustered into longitudinal dune belts. Both mobile and stable sand sheets occur in Kuwait. A major mobile sand belt crosses Kuwait in a northwest to southeast direction, following the prevailing wind pattern. Smaller sheets occur in the Al-Huwaimiliyah area, in the Al-Qashaniyah in the northeast, and in much of the southern region. During the past few years overgrazing and an increase of motor vehicles in the desert have caused great destruction to the desert vegetation. 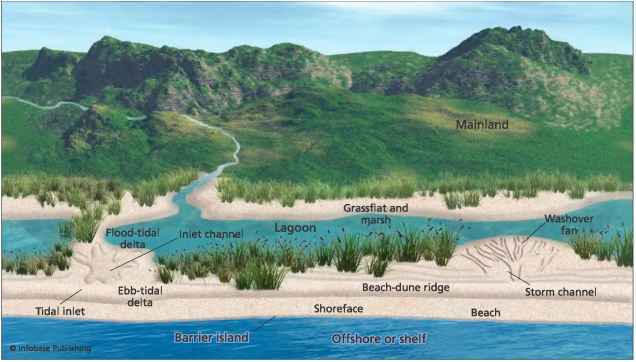 Stabilized vegetated sheets have changed to mobile sheets as the protective vegetation is destroyed. The largest stabile sheet occurs at Shugat Al-Huwaimiliyah. Recently smaller sheets have begun to develop at Umm Al-Neqqa and Burgan oil field owing to an increase in desert vegetation resulting from a prohibition of traffic. Kuwait Bay is a 25-mile (40-km) long indentation of marshes and lagoons. The coast is mostly sand interspersed with sabkhas and gravel. Sabkhas are flat, coastal areas of clay, silt, and sand often encrusted with salt. The northern portion of the bay is very shallow, averaging fewer than 15 feet (5 m). This part of the shore consists mostly of mud flats and sandy beaches. The more southern portion is relatively deep, with a bed of sand and silicic deposits. Most of the ports are situated in the southern area. Kuwaiti territory includes 10 islands. Most are covered by scrub and a few serve as breeding grounds for birds. Bubiyan, the largest island, measuring approximately 600 square miles (1,000 km2), is a low, level bare piece of land with mud flats along much of its north and west coasts that are covered during high tides. It is connected to the mainland by a concrete causeway. To its north lies Warba, another low-lying island covered with rough grass and reeds. East of Kuwait Bay and on the mud flats extending from Bubiyan lie three islands: Failaka, Miskan, and Doha. Failaka is the only inhabited island belonging to Kuwait. A small village, located near an ancient shrine, is set on a 30-foot (9-m) hill at the northwest point of the island. The rest of the island is flat with little vegetation. There are a few trees in the center of the island, and date trees are grown in the village. West of Kuwait City in the bay are two islets: Al-Qurain and umm Al-Naml. on the south side of the gulf lie three more small islands: Qaruh, Kubbar, and umm Al-Maradim. The last two are surrounded by reefs on three sides. Kuwait arch. Major hydrocarbon accumulations are associated with the Kuwait arch. The subsurface stratigraphy of Kuwait includes a nearly continuous section of Arabian platform sediments ranging in age from Cambrian through Holocene, although the pre-Permian rocks are poorly known. The Permian through Miocene section is 3.5-4 miles (6-7 km) thick in Kuwait but thickens toward the northeast. These rocks include continental and shallow marine carbonates, evaporites, sandstones, siltstones, and shales, with less common gravels and cherts. Plio-Pleistocene sand and gravel deposits of the Dibdibba Formation outcrop in northwestern Kuwait, and Miocene sands, clay, and nodular limestone of the Fars and Ghar Formation outcrop in the southeast. A small area of Eocene limestone and chert (Dammam Formation) outcrops south of Kuwait City on the Ahmadi Ridge. 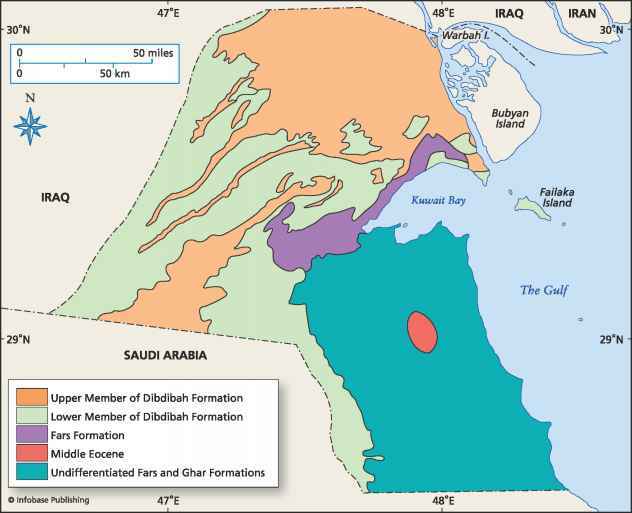 Arabian folds, along which many of the most important oil fields in the Arabian Gulf are located. These arches are at least mid-Cretaceous. The orientation of the Arabian folds has been interpreted to be inherited from older structures in the Precambrian basement, with possible amplification from salt diapirism. The north-south trends may continue northward beneath the Mesopotamian basin and the Zagros fold belt. The northwest trending anticlinal structures of the Ahmadi ridge and Bahra anticline are younger than the Arabian folds, and related to the Zagros collision, initiated in post-Eocene times. These younger folds seem to have a second-order control on the distribution of hydrocarbon reservoirs in Kuwait, as oil wells (and after the First Gulf War in 1990, oil lakes) are concentrated in northwest trending belts across the north-striking Kuwait arch. The Kuwait arch has a maximum structural relief in the region between Burgan and Bahra, with closed structural contours around the Wafra, Burgan, Magwa, and Bahra areas, and a partial closure indicating a domal structure beneath Kuwait City and Kuwait Bay. The superposition of the Kuwait arch and the shallow anticlinal structure of the Ahmadi ridge forms a total structural relief of at least one mile (1.6 km). The northwest-trending Dibdibba arch represents another subsurface anticline in western Kuwait. The ridge is approximately 45 miles (75 km) long, and is an isolated domal structure, but has not to date yielded any significant hydrocarbon reservoirs. Wadi Al-Batin is a large valley, 4-6 miles (7-10 km) wide, with relief of up to 185 feet (57 m). In the upper valley of the wadi, the valley sides are steep, but in southwestern Kuwait few ravines have steep walls taller than 15 feet (5 m). The wadi has a length of more than 45 miles (75 km) in Kuwait, and extends 420 miles (700 km) southwestward into Saudi Arabia, where it is referred to as Wadi Ar-Rimah. The ephemeral drainage in the wadi drains from the southwest, and has transported Quaternary and Tertiary gravels consisting of igneous and meta-morphic rock fragments from the saudi Arabian and Syrian deserts during Pleistocene pluvial episodes. The wadi widens toward the northeast and becomes indistinguishable from its surroundings northwest of Kuwait City. Ridges made of Dibdibba gravel define paleodrainage patterns of a delta system draining Wadi Al-Batin, and many of these gravel ridges stand out as prominent lineaments. Some of these gravel ridges are marked by faults on at least one side, suggesting a structural control on the drainage pattern. Numerous small and several relatively large faults are revealed on seismic reflection lines across the wadi, and hydrological pumping tests show a break in the drawdown slope at the faults. The steep Miocene-late Eocene faults parallel to the wadi have displaced the block in the center of the wadi upward by 15-20 feet (25-35 m) relative to the strata outside the wadi, and those displacements die out toward the northeast. See also convergent plate margin processes; deserts; Gondwana, Gondwanaland; ophiol-ites; Paleozoic; petroleum geology; Phanero-zoic; Proterozoic. Abdelsalam, Mohamed G., and Robert J. Stern. "Sutures and Shear Zones in the Arabian-Nubian Shield." Journal of African Earth Sciences 23, no.3 (1996): 289-310. Al-Lazki, A. I., Don Seber, and Eric Sandvol. "A Crustal Transect Across the Oman Mountains on the Eastern Margin of Arabia." GeoArabia 7, no. 1 (2002): 47-78. Al-Shanti, A. M. S. The Geology of the Arabian Shield. Jeddah, Saudi Arabia: Center for Scientific Publishing, King AbdlAziz University, 1993. Boote, D. R. D., D. Mou, and R. I. Waite. "Structural Evolution of the Suneinah Foreland, Central Oman Mountains." In The Geology and Tectonics of the Oman Region, edited by A. H. F. Robertson, M. P. Searle, and A. C. Reis. Geological Society of London Special Publication 49 (1990): 397-418. Brown, Glen F., Dwight L. Schmidt, and Curtis A. Huffman Jr. Geology of the Arabian Peninsula, Shield Area of Western Saudi Arabia. United States Geological Survey Professional Paper 560-A, 1989. Directorate of General Geologic Surveys and Mineral Investigation. Tectonic map of Iraq, scale 1: 1,000,000, 1984. Geological Society of Oman. "Information on the Geology of Oman." Available online. URL: http://www.gso. org.om/. Accessed October 9, 2008. Glennie, Ken. The Geology of the Oman Mountains: An Outline of Their Origin. 2nd ed. Buchs, U.K.: Scientific Press. 2005. Glennie, Ken W., M. G. A. Boeuf, M. W. Hughes-Clarke, Stuart M. Moody, W. F. H. Pilar, and B. M. Reinhardt. The Geology of the Oman Mountains. Amsterdam, Netherlands: Verhandelingen van het Koninklijk Nederlands Geologisch Mijnbouwkundig Genoot-schap, deel 31 (NE ISSM 0075-6741) (1974). Johnson, Peter R., Erwin Scheibner, and Alan E. Smith. "Basement Fragments, Accreted Tectonostratigraphic Terranes, and Overlap Sequences: Elements in the Tectonic Evolution of the Arabian Shield, Geodynam-ics Series." American Geophysical Union 17 (1987): 324-343. Kusky, Timothy M., Mohamed Abdelsalam, Robert Tucker, and Robert Stern, eds. "Evolution of the East African and Related Orogens, and the Assembly of Gondwana." Special Issue of Precambrian Research (2003): 81-85. Kusky, Timothy M., and Mohamed Matsah. "Neoprotero-zoic Dextral Faulting on the Najd Fault System, Saudi Arabia, Preceded Sinistral Faulting and Escape Tectonics Related to Closure of the Mozambique Ocean." In Proterozoic East Gondwana: Supercontinent Assembly and Break-up, edited by M. Yoshida, Brian F. Windley, S. Dasgupta, and C. Powell, 327-361. London: Geological Society of London, Special Publication, 2003. Kusky, Timothy M., Cordula Robinson, and Farouk El-Baz. "Tertiary and Quaternary Faulting and Uplift of the Hajar Mountains of Northern Oman and the U.A.E." GeoArabia 162 (2005): 1-18. Kuwait Oil Company. Geological Map of the State of Kuwait, Scale 1:250,000. 1981. Milton, D. I. "Geology of the Arabian Peninsula, Kuwait." Washington, D.C.: United States Government Printing Office, Reston, Va.: Geological Survey Professional Paper 560-D (1967). Saudi Geological Survey. "The National Geologic Survey of the Kingdom of Saudi Arabia home page." Avail able online. 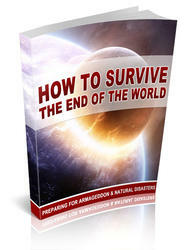 URL: http://www.sgs.org.sa/. Updated August 28, 2008. Searle, Mike, and J. Cox. "Tectonic Setting, Origin, and Obduction of the Oman Ophiolite." Geological Society of America Bulletin 111 (1999): 104-122. Stern, Robert J. "Arc Assembly and Continental Collision in the Neoproterozoic East African Orogen: Implications for Consolidation of Gondwanaland." Annual Review of Earth and Planetary Sciences 22 (1994): 319-351. Geologic Survey of Iran, scale 1:2,500,000, 1973. Stoeser, Douglas B., and Camp, Victor E. "Pan-African Microplate Accretion of the Arabian Shield." Geological Society of America Bulletin 96 (1985): 817-826. Stoeser, Douglas B., and John S. Stacey. "Evolution, U-Pb Geochronology, and Isotope Geology of the Pan-African Nabitah Orogenic Belt of the Saudi Arabian Shield." In The Pan-African Belts of Northeast Africa and Adjacent Areas, edited by S. El Gaby and R. O. Greiling, 227-288. Braunschweig, Germany: Friedr Vieweg and Sohn, 1988. U.S. Geological Survey. Central Region Energy Resources Team. Maps Showing Geology, Oil and Gas Fields and Geological Provinces of the Arabian Peninsula, by Richard M. Pollastro, Amy S. Karshbaum, and Roland J. Viger, U.S. Geological Survey Open-File Report 97-470B, version 2. Available online. URL: http://pubs.usgs.gov/of/1997/ofr-97-470/OF97-470B/ arabGmap.html. Updated February 5, 2008. Warsi, Waris E. K. "Gravity Field of Kuwait and Its Relevance to Major Geological Structures." American Association of Petroleum Geologists Bulletin 74 (1990): 1610-1622. Archean (Archaean) Earth's first geological eon for which there is an extensive rock record, the Archean also preserves evidence for early primitive life-forms. The Archean is second of the four major eons of geological time: the Hadean, Archean, Pro-terozoic, and Phanerozoic. Some time classification schemes use an alternative division of early time, in which the Hadean, Earth's earliest eon, is considered the earliest part of the Archean. The Archean encompasses the one and one-half billion-year-long (Ga = giga année, or 109 years) time interval from the end of the Hadean eon to the beginning of the Proterozoic eon. In most classification schemes it is divided into three parts called eras, including the Early Archean (4.0-3.5 Ga), the Middle Archean (3.5-3.1 Ga), and the Late Archean, ranging up to 2.5 billion years ago. Gneisses are strongly deformed rocks with a strong layering formed by the parallel alignment of deformed and flat minerals. The oldest known rocks on Earth are the 4.0 billion-year-old Acasta gneisses from northern Canada that span the Hadean-Archean boundary. Single zircon crystals from the Jack Hills and Mount Narryer in western Australia have been dated to be as old as 4.1-4.3 billion years. The oldest well-documented and extensive sequence of rocks on Earth is the Isua belt, located in western Greenland, estimated to be 3.8 billion years old. Life on Earth originated during the Archean, with the oldest known fossils coming from the 3.5 billion-year-old Apex chert in western Australia, and possible older traces of life found in the 3.8 billion-year-old rocks from Greenland. Archean and reworked Archean rocks form more than 50 percent of the continental crust and are present on every continent. Most Archean rocks are found in cratons or as tectonic blocks in younger oro-genic belts. Cratons are low-relief, tectonically stable parts of the continental crust that form the nuclei of many continents. shields are the exposed parts of cratons, other parts of which may be covered by younger platformal sedimentary sequences. Archean rocks in cratons and shields are generally divisible into a few basic types. Relatively low-metamorphic-grade greenstone belts consist of deformed metavol-canic and metasedimentary rocks. Most Archean plutonic rocks are quartz and feldspar-dominated tonalites, trondhjemites, granodiorites, and granites that intrude or are in structural contact with strongly deformed and metamorphosed sedimentary and volcanic rocks in greenstone belt associations. Together these rocks form the granitoid-greenstone association that characterizes many Archean cratons. Granite-greenstone terranes are common in parts of the Canadian shield, south America, south Africa, and Australia. 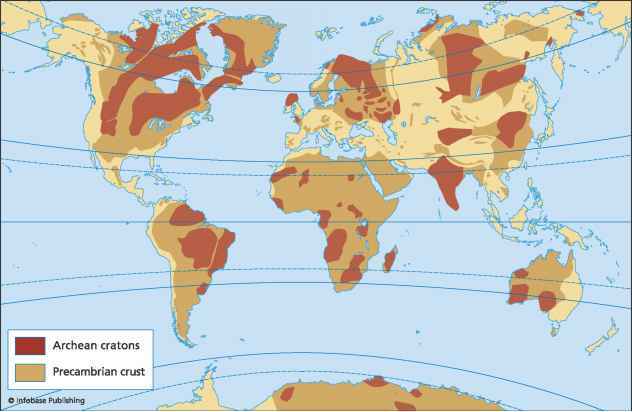 Low-grade cratonic basins are preserved in some places, including southern Africa and parts of Canada. High-grade metamorphic belts are also common in Archean cratons, and these generally include granitic, metasedimentary, and metavolcanic gneisses that were deformed and metamorphosed at middle to deeper crustal levels. some well-studied Archean high-grade gneiss terranes include the Lewi-sian and North Atlantic Province, the Limpopo belt of southern Africa, the Hengshan of north China, and parts of southern India. matic changes. Early atmospheres of Earth were blown away by asteroid and comet impacts, and by strong solar winds from an early T-Tauri phase of the Sun's evolution. Free oxygen was either not present or present in much lower concentrations, and the atmosphere evolved slowly to a more oxygenic condition. Earth was also producing and losing more heat during the Archean than in more recent times, and the patterns, styles, and rates of mantle convection and the surface style of plate tectonics must have reflected these early conditions. Heat was still left over from early accretion, core formation, late impacts, and decay of some short-lived radioactive isotopes such as iodine 129. In addition, the main heat-producing radioactive decay series were generating more heat then than now, since more of these elements were present in older half-lives. In particular uranium 235, uranium 238, thorium 232, and potassium 40 were cumulatively producing two to three times as much heat in the Archean as at present. since scientists know from the presence of rocks that formed in the Archean that the planet was not molten then, this heat must have been lost by convection of the mantle. It is possible that the temperatures and geothermal gradients were 10-25 percent hotter in the mantle during the Archean, but most of the extra heat was likely lost by more rapid convection and by the formation and cooling of oceanic lithosphere in greater volumes. The formation and cooling of oceanic lithosphere is presently the most efficient mechanism of global heat loss through the crust, and this mechanism was even more efficient in times of higher heat production. A highly probable scenario for removing the additional heat is that more ridges were present, producing thicker piles of lava, and moving at faster rates in the Archean compared to the present. There is currently much debate and uncertainty about the partitioning of heat loss among these mechanisms, and it is also possible that changes in mantle viscosity and plate buoyancy would have led to slower plate movements in the Archean as compared with the present. 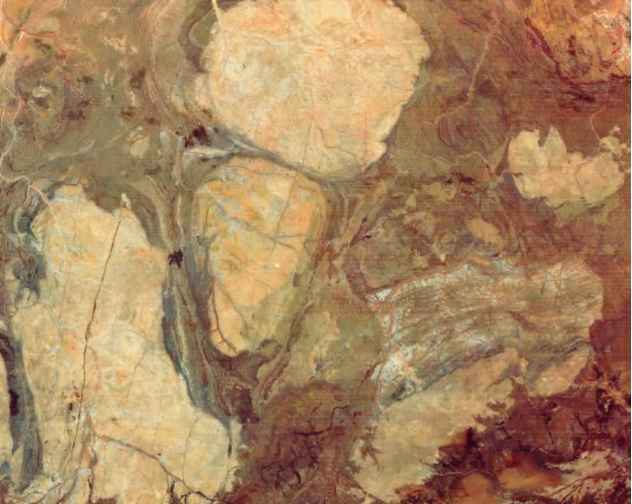 Archean greenstone belts than in younger orogenic belts, but they are generally only a minor component of greenstone belts. Some literature leads readers to believe that Archean greenstone belts are dominated by abundant komatiites; however, this is not true. There have been an inordinate number of studies of komatiites in greenstone belts since they are such an unusual and important rock type, but the number of studies does not relate to the abundance of the rock type. Sedimentary rocks in greenstone belts are predominantly greywacke-shale sequences (or their metamorphic equivalents), although conglomerates, carbonates, cherts, sandstones, and other sedimentary rocks are found in these belts as well. Suites of granitoid rock now deformed and metamorphosed to granitic gneisses typically intrude the volcanic and sedimentary rocks of the greenstone belts. The deformation of the belts has in many cases obscured the original relationships between many greenstone belts and gneiss terrains. Most of the granitoid rocks appear to intrude the greenstones, but in some belts older groups of granitic gneisses have been identified. In these cases it has been important to determine the original contact relationships between granitic gneisses and greenstone belts, as this relates to the very uncertain tectonic setting of the Archean greenstones. If contact relationships show that the greenstone belts were deposited unconformably over the granitoid gneisses, then it can be supposed that greenstone belts represent a kind of continental tectonic environment unique to the Archean. In contrast, if contact relationships show that the greenstone belts were faulted against or thrust over the granitoid gneisses, then the greenstone belts may be alloch-thonous (far-traveled) and represent closed ocean basins, island arcs, and other exotic terrains similar to orogenic belts of younger ages. Before the mid 1980s and 1990s, many geologists believed that many if not most greenstone belts were deposited unconformably over the granitoid gneisses, based on a few well-preserved examples at places including Belingwe, Zimbabwe; Point Lake, Yellowknife, Cameron River, and Steep Rock Lake, Canada; and in the Yilgarn of western Australia. However, more recent mapping and structural work on these contact relationships have revealed that all of them have large-scale thrust fault contacts between the main greenstone belt assemblages and the granitoid gneisses, and these belts have since been reinterpreted as allochthonous oceanic and island arc deposits similar to those of younger mountain belts. The style of Archean greenstone belts varies in an age-dependent manner. Belts older than 3.5 billion years have sediments including chert, banded iron formation, evaporites, and stromatolitic carbonates, indicating shallow-water deposition, and contain only very rare conglomerates. They also have more abundant komatiites than younger greenstone belts. Younger greenstone belts seem to contain more intermediate volcanic rocks such as andesites, and have more deep-water sediments and conglomerates. They also contain banded iron formations, stromatolitic carbonates, and chert. Since so few early Archean greenstone belts are preserved, it is difficult to know whether these apparent temporal variations represent real-time differences in the style of global tectonics or are a preservational artifact.